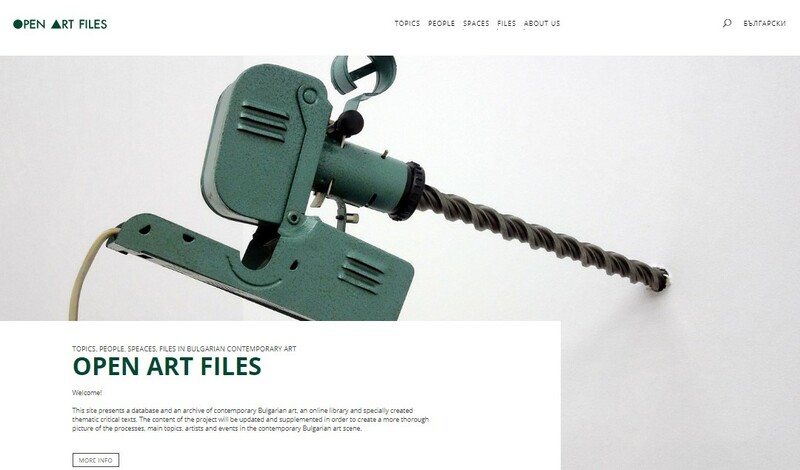 "Open Art Files: Topics, People, Spaces, Files in Bulgarian Contemporary Art" is a project that seeks to popularize Bulgarian contemporary art in Bulgaria and abroad. 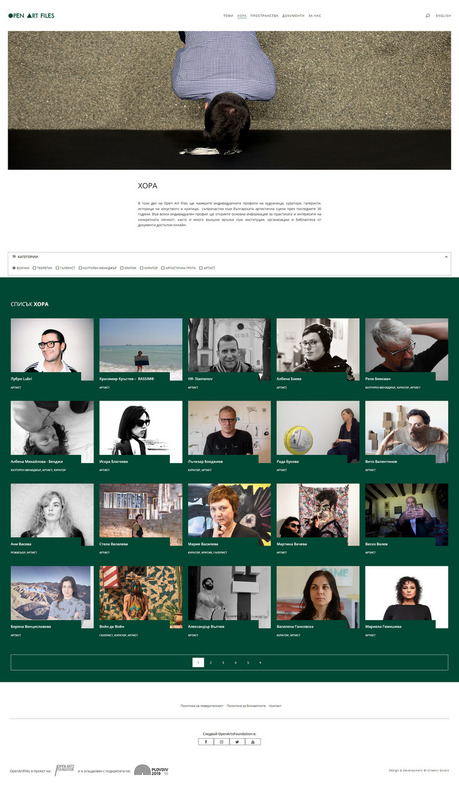 The project consists of series of two-year activities in 2018 and in 2019 for the building of openartfiles.bg, a database of Bulgarian contemporary art, as well as curatorial visits, presentations and exhibitions introducing the project. "Open Arts Files" is a project of Open Arts Foundation, in collaboration with SARIEV Contemporary and curator and art historian Vera Mlechevska, in partnership with Municipal foundation Plovdiv 2019 and supported by Gaudenz B. Ruf Award. The project is part of the official program of Plovdiv – European Capital of Culture 2019. 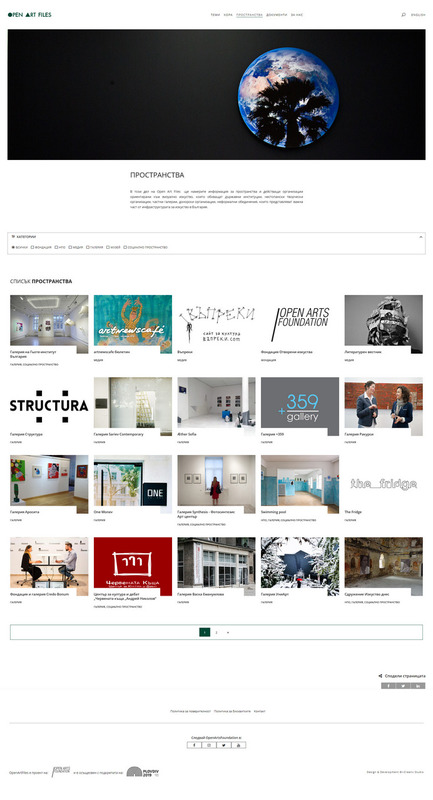 "Open Arts Files" is the main part of openartfiles.bg, a bilingual website (in Bulgarian and English) that will be a database/archive of Bulgarian contemporary art, an online library and an environment for art criticism. 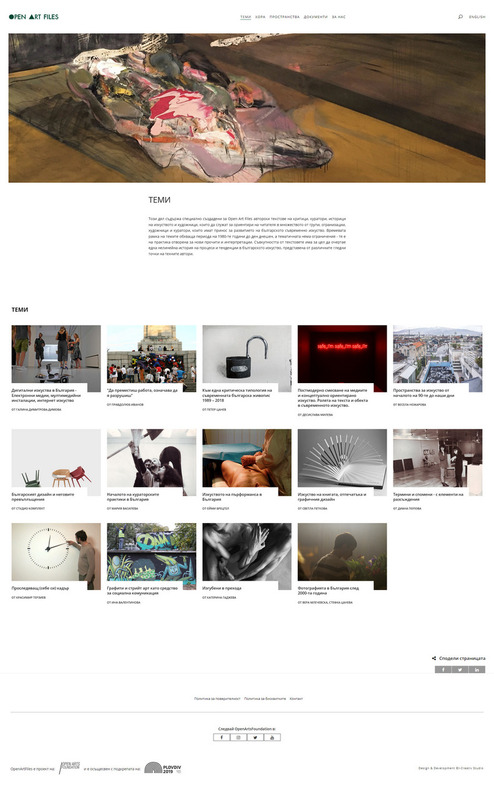 The website will use both newly created and archival content of the current platform "Introduction to Contemporary Art". The content will be built into four main panels: Topics, People, Spaces and Files, and will be created in collaboration with experts and contemporary artists. The educational panel will take place in 2019 and will be based on "Introduction to Contemporary Art", the long-standing art education platform of Open Arts Foundation. The panel will be popularizing the "Open Arts Files" database, and will feature educational courses and lectures by visiting lecturers. It will thus present the history of contemporary art, the place of Bulgarian contemporary art within the context of the global contemporary art, as well as various aspects, movements and points of view. Art historians, curators, artists and experts from related fields from Bulgaria and abroad will be giving lectures. 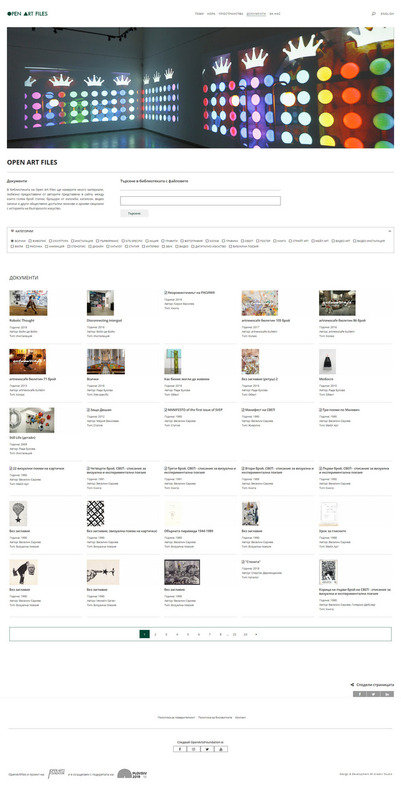 This module will popularize the "Open Arts Files" database and the openartfiles.bg website through visits of curators, critics, museum representatives, corporate collections, directors of art biennials and art centers. They will be visiting Bulgaria to learn about the local contemporary art scene in personal meetings, visits to artists' studios, museums and galleries, through the presentations of catalogues, books and portfolios. As part of the "Open Art Talks", the program will feature lectures by some of the participants. This is an exhibition project which will be popularizing the "Open Arts Files" database and the openartfiles.bg website. It will be presenting the archive as well as works by Bulgarian contemporary artists.